Ranikhet: The next item on our agenda was a brief stop-over at Ranikhet, a small hill station in the Almora district which is interestingly, maintained entirely by the Indian Army. 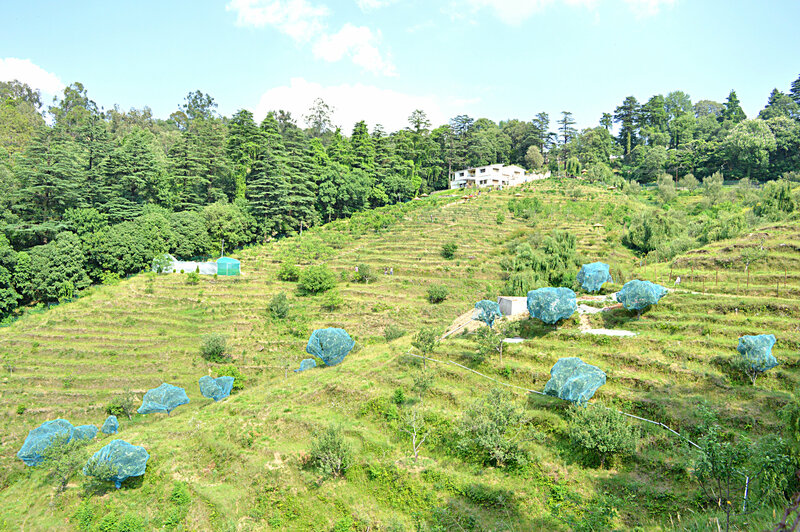 We visited a very inviting place in Ranikhet called the Chaubatiya Gardens, wherethere is a rich diversity of fruit and flower planations. We saw a wide variety of trees like the pine, deodhar, chestnut, oak, poplar and willow (from which they make cricket bats). We also saw some seldom-seen plantations of peach, apricot, walnut, almonds and apple. It was engaging to see how various plantations are sheltered in those gardens to protect them from external harm and promote their natural growth. For eg. – apple trees are protected from birds by covering them in nets. We journeyed on from there with a brief halt at the Rani Jheel and relished on yummy mountain maggi and cutting chai! Khali Estate: Our next destination was the lesser known yet extremely adventurous Khali Estate. 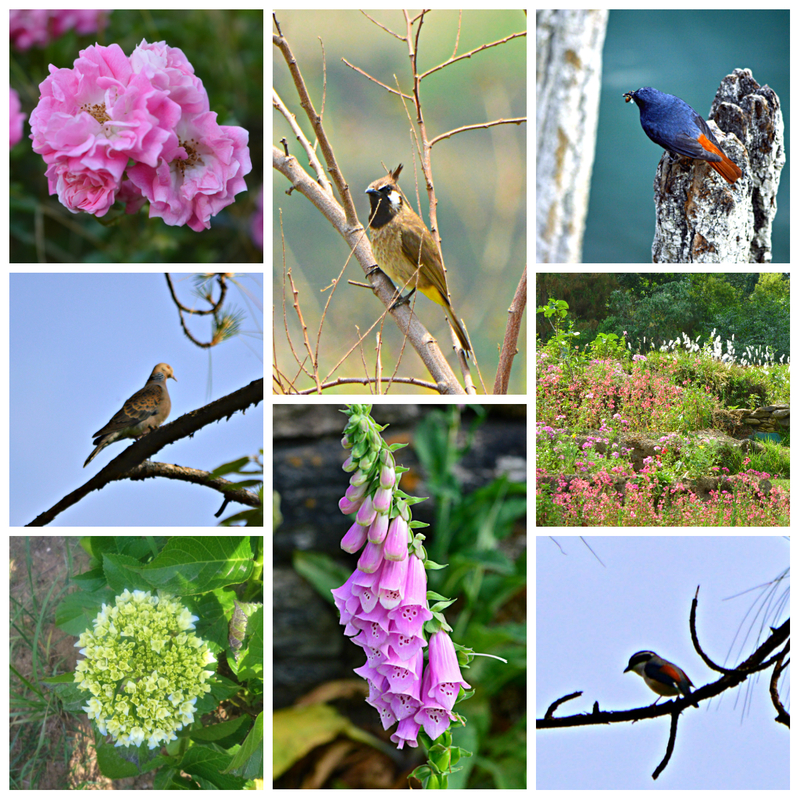 Located 40 kms atop a mountain, inside the Binsar Wildlife Sanctuary in the Almora district – reaching the place was a stint in itself. There were several times on the drive to the place, when even our driver expressed doubts over whether we were on the right mountain! After some really tedious driving, we finally reached the checkpost where we were to take the forest department’s permission for entering and staying inside a resort in the jungle! When we entered the resort at night, what we saw was bewildering! The place was literally in the middle of the forest with huts built inside to stay in. 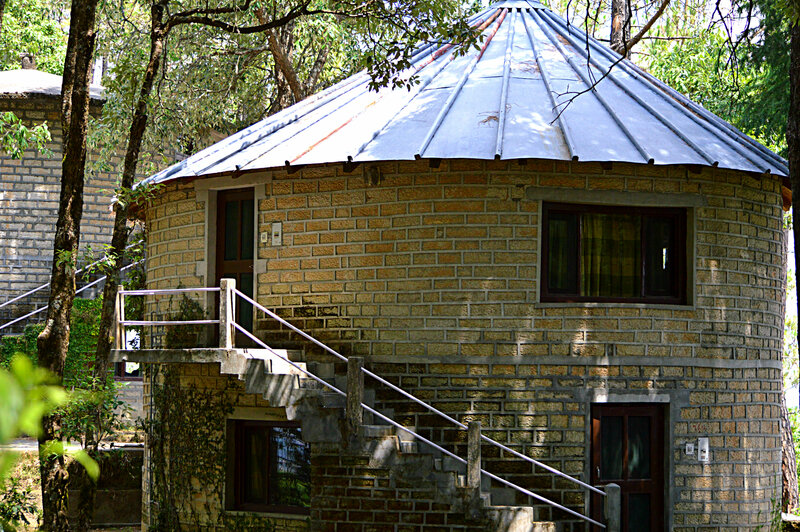 Hutments – A beautiful place to stay in! The view from the rooms was breath-taking! Also, it was interesting to note that the use of technology was minimal at this place. Dinner was some extremely simple preparations made from veggies grown in the neighboring villages.. Next day morning we set out for a trek along the mountain for some bird watching. Our guide arrived at 6.30 AM and off we went, spotting mountain goats and barking deer along the way. The mountain was completely covered with oak leaves even along its most steep slopes! Treading along it was indeed a dangerous task as the leaves spread all over it, made finding firm ground to step on, a big challenge (a deadly one at that – I almost slipped down once!). One ‘hell’ of an experience! truly striking scenery, wherever u go! 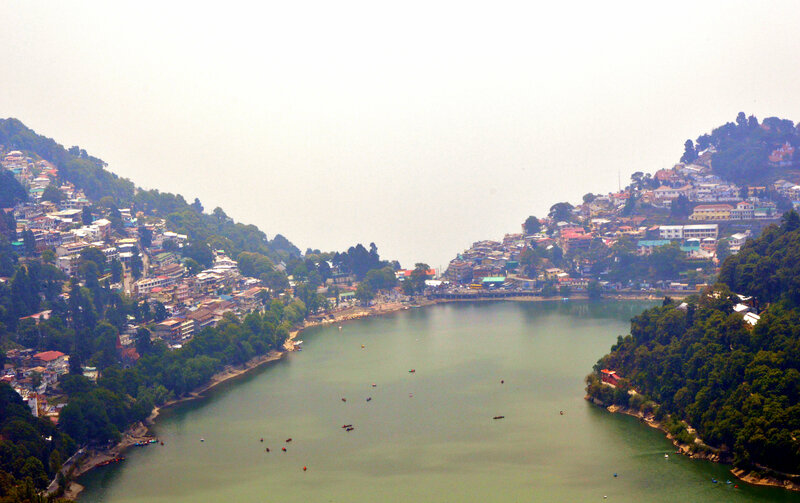 Nainital: Our final destination was the beautiful Nainital! 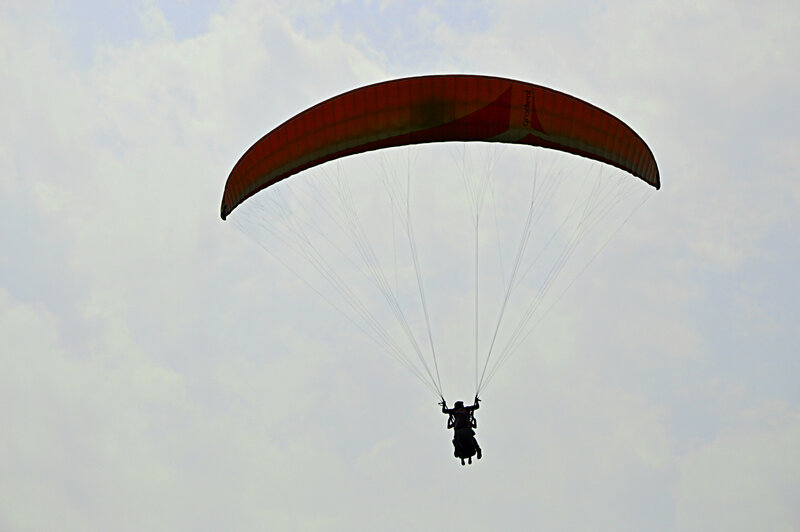 A fun and lively ride again with picturesque locations all around – we almost thought we reached the place too early! Our hotel – Hotel Himalaya was an extremely cozy place. We chose a heritage suite to stay in so that the whole family could be together. We had a really good evening with the mountain-view, amazing weather (it even hailed! ), air hockey, mini golf and mouth-watering food! 1. Bhimtal, Saat Tal, Naukuchia Tal – basically water bodies with scenic views, boating and the other usual stuff. Was blissful to sit by the water and take the whole atmosphere in. 6. 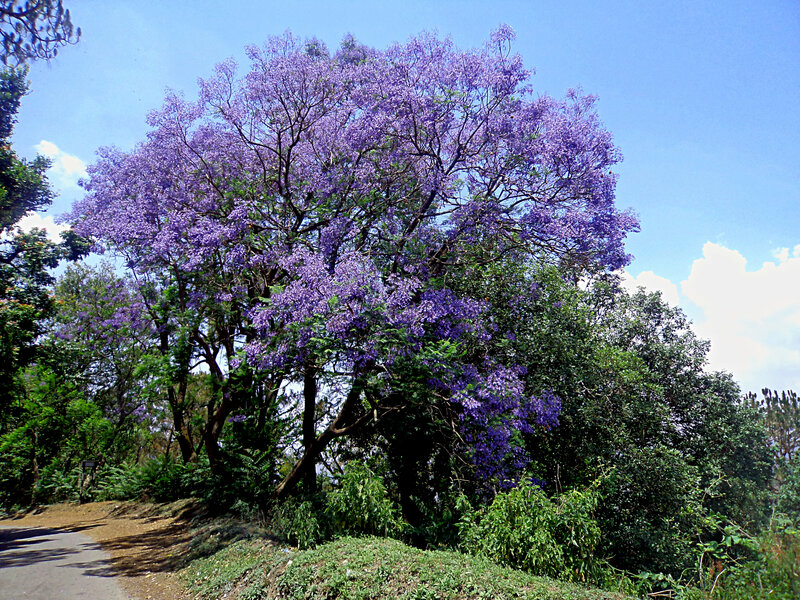 Purple trees along the way! The last day was dedicated to taking it easy and just going around for a bit of shopping for family and friends. 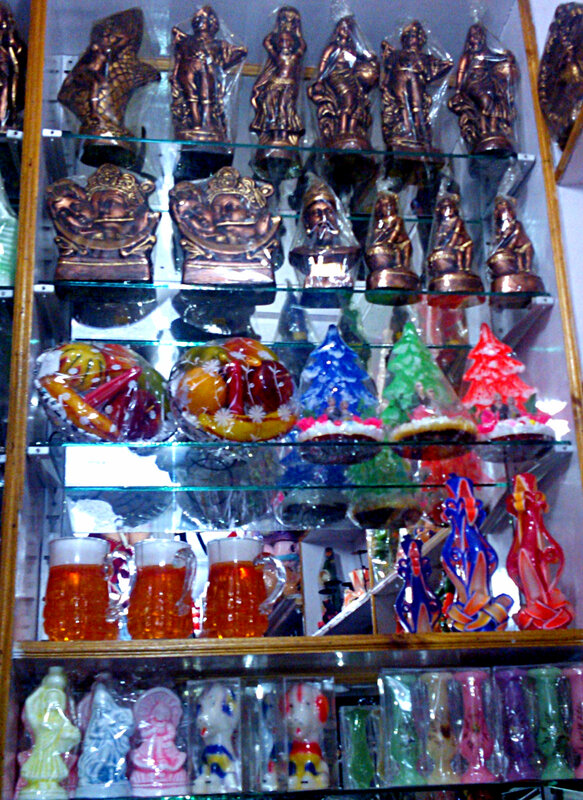 Nainital is known for its candle manufacturing and the wide variety of candles it offers. The designs are so pretty, u just can’t help gazing at them for hours (and even buying a few more than you really need)! The entire trip with all its winding ghats and scenic locations was an absolute Photographer’s Paradise! For some more awesome photos, you could check out my Flickr Link. 10 JAIPUR EXPERIENCES THAT ONE JUST CANNOT MISS! 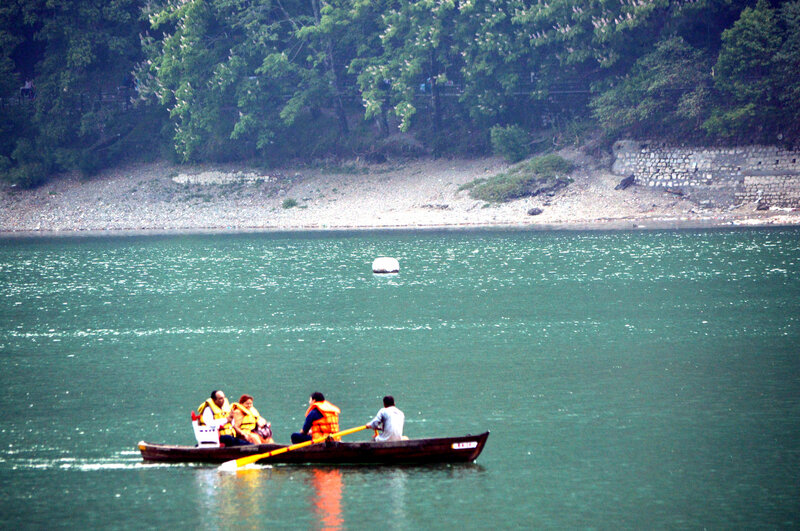 ← The Ultimate Uttarakhand Trip! lovely nerative. 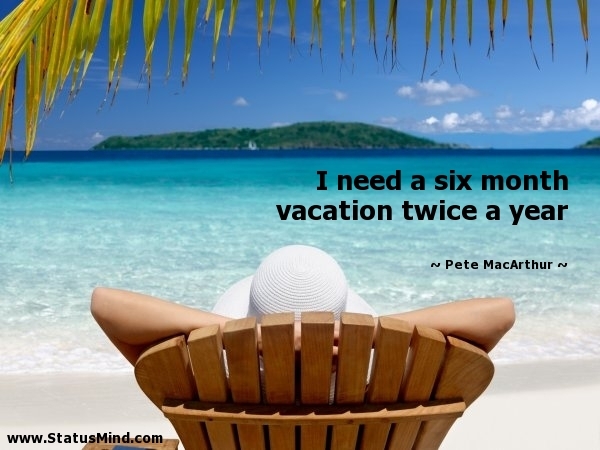 but let me tell you six months vacation will be no fun. sunday to have a fiield trip at bpt and aguju lunch.